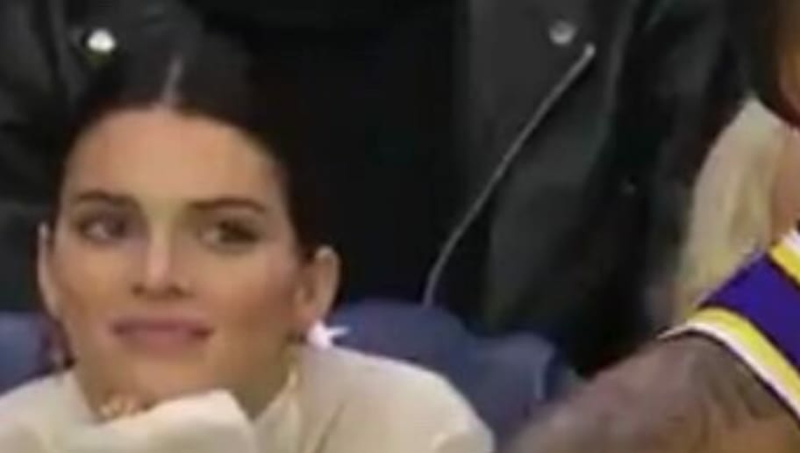 Ben Simmons may want to keep an eye on Kendall Jenner. ​Simmons and Jenner are in a relationship, so naturally Jenner comes to ​Philadelphia 76ers games in order to support her man. Unfortunately for the 22-year-old, the ​Los Angeles Lakers were in town and Jenner was caught admiring LeBron James during the contest. ​​James was looking up at the Jumbotron and there was Kendall, right behind him. The 23-year-old model was clearly pleased with what she saw. Simmons won't be too happy when he realizes that his girlfriend has her eyes fixated on the opposition, especially someone like LeBron. That's some stiff competition, even if James is married with three children. Perhaps Simmons noticed Jenner's wandering eyes, which may have prompted him to take a ​rare three-point attempt in order to win back her affection. Maybe Simmons should spend more time trying to arrange a sit down with his girlfriend rather than Lakers' executive ​Magic Johnson.